The Bottom Line. . . that's what business accounting means to you! Whether your business is a small, one-person operation, or a large company, Bottom Line Accounting will manage all your accounting needs fast and efficient. 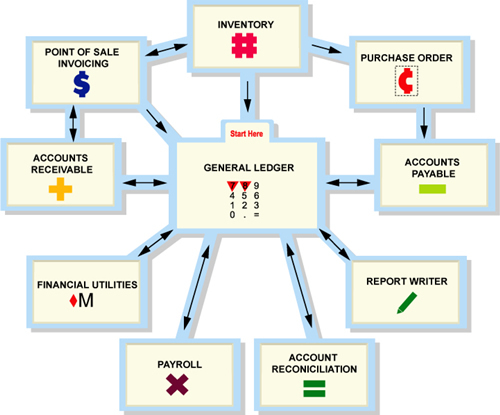 Choose from nine fully-integrated modules - General Ledger, Accounts Receivable, Accounts Payable, Payroll, Inventory, POS/Invoicing, Bank Reconciliation, Financial Utilities and Purchase Order. Copyright ï¿½ 2015 Bottom Line Accounting Software, Inc. All rights reserved.